We followed the north star, and found ourselves in Banco lounge, slightly hungover (very hungover) and ready for a Lounge bank-quet and an extra spicy Bloody Mary to achieve a balanced diet. I don’t think I need to add too much to this as the picture tells a tasty story. Everything was well cooked (including a slightly runny egg). A hearty ‘classic’ style cooked breakfast. Great portion size. Sure, you won’t find any Californian brunch twists, no spicy pinto beans, white pudding or sourdough toast as standard - but that’s not what Banco lounge is going for. I bet if you were heading there this weekend your breakfast would look the same as mine and that’s sometimes exactly what you want. If you want a breakfast that looks like the picture, with all the things that are in the picture then it's a simple equation. - What's the most popular thing on the Breakfast menu? Of the breakfast menu, the traditional Lounge breakfast is generally the most popular dish. It's a pretty hearty portion, and it's always great to see how its popularity remains consistent through a wide variety of customers. A close second would be the avocado brunch. At Banco we definitely feel an affinity with the older Lounges, as they have all grown up together (not forgetting Grupo who at 3 years old, is the baby of the Bristol family but by far not the smallest) and intertwined throughout the years. It definitely feels like there's a lot of history and stories in these old Lounges and it's lovely to say I'm involved in some of them as we all do get to know one another personally. The other Bristol Lounges are my mate's houses but Banco is my home. - You've gone for sausage patty over the more traditional pork cylinder in your Lounge Breakfast, is that a tactical decision? The sausage pattie is a Lounge staple and has been a part of our breakfast from day one from when the doors opened up over on North Street all those years ago. It makes our breakfast a little different and is made to our recipe by our butchers. - You are soon to launch a new menu, were there any staff favourites from the tasting? We're introducing our falafel and Moroccan spiced chicken flatbreads - there is so much flavour contained in the dish along with the pepper pearls that really pack the punch! 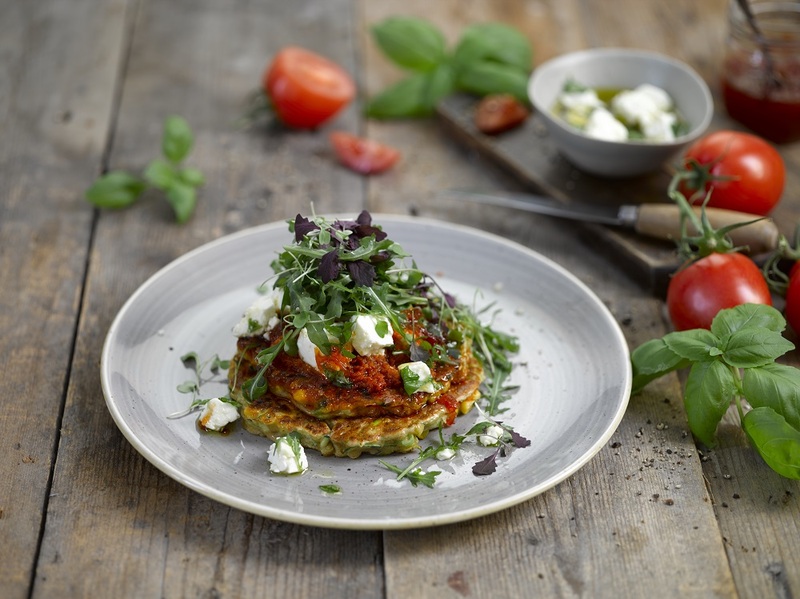 We are also introducing a courgette and sweetcorn fritter which too, is delicious – topped with chunks of feta and rocket salad so, a bit naughty but then it also includes those all-important greens too. To finish it off, the eton mess cheesecake....I don't need to say anything else. Again I would have to say the colourful palette on the flatbreads make them prime Instagram fodder! Check out the Lounge food menu here, or for more brunch ideas there’s a comprehensively researched list over on A Life Less Organised.